Liverpool have officially confirmed the departure of former assistant manager Zeljko Buvac, with a reshuffle in the ranks providing Jurgen Klopp a replacement. Buvac left his role with the club back in April of last year, in a shock development that saw the Bosnian Serb end a relationship with Klopp that had lasted their entire professional careers. He was subsequently linked with managerial positions with Arsenal and Fenerbahce, but was still tied to his contract with the Reds, and they appointed Unai Emery and Ersun Yanal respectively. It was reported last week, however, that Buvac had reached a settlement with Liverpool, in a mutual agreement. Now, the club have removed Buvac’s profile from the staff page of their official website, where he had remained for the past nine months despite no longer fulfilling his duties. 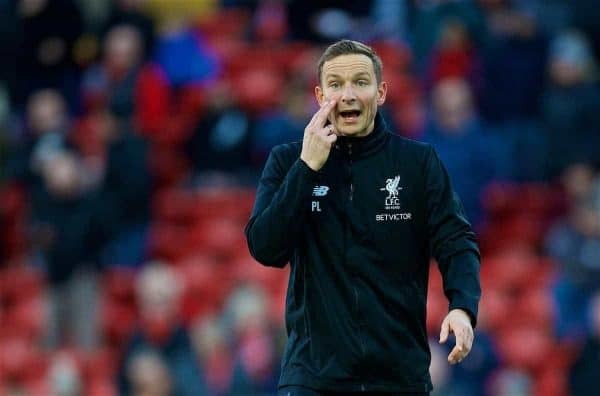 And they have also confirmed the promotion of Pepijn Lijnders from a undefined position taken up on his return in July to assistant manager; he was, in all facets but name, already operating as Klopp’s No. 2. The Evening Standard‘s David Lynch, formerly a journalist with Liverpool, has also revealed that Peter Krawietz is now also considered an assistant manager. Krawietz, known as ‘The Eye’, specialises in analysis but was working under the title of second assistant, with this ‘promotion’ acknowledging his importance. 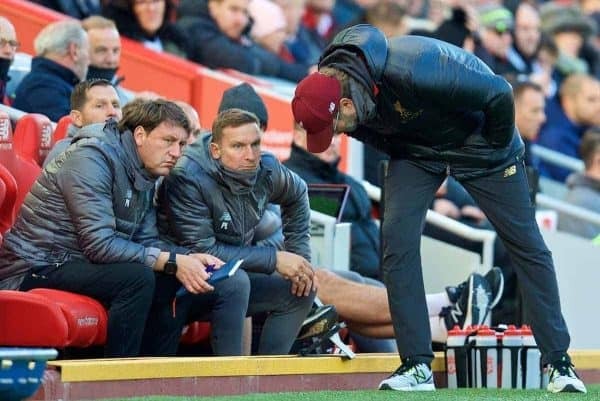 Buvac’s exit came after a gradual disillusionment with life at Liverpool, and Lijnders’ influence is noticeably different to the 57-year-old, with the Dutchman a much more vocal presence in training. He has previously served as U16s and first-team elite development coach for the Reds, and enjoys a strong reputation on the continent for his work with PSV and Porto—though he lasted just four months as first-team manager at NEC Nijmegen. Goalkeeping coach John Achterberg and head of fitness and conditioning Andreas Kornmayer are the two other most prominent figures in Klopp’s backroom.